PreXion 3D is a revolutionary X-ray system that provides high-resolution solutions in dental imaging. Powered by superior image reconstruction and volumetric image-rendering technology, PreXion 3D provides sharper images with more information than the traditional dental X-ray unit. 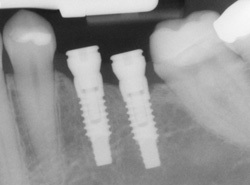 It’s the ideal in-office imager for the specialist who performs implants.